There’s a new bus route in southern Prince George’s County, and Councilman Mel Franklin saw this as an appropriate occasion to do a mass mailing. 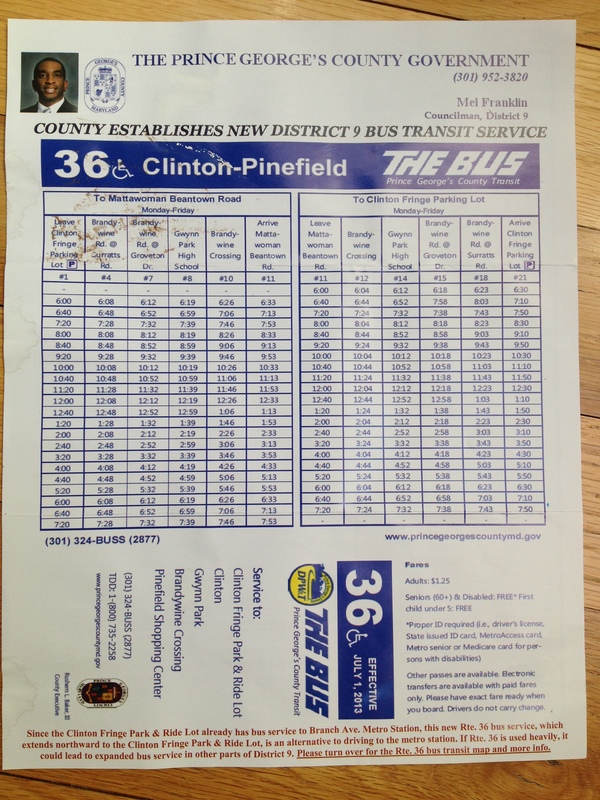 We received two copies of the bus schedule in our mailbox, and so did our neighbors. It looks like everybody in district 9 (shucks, I love that name) may have received a copy. I wonder how much it cost the taxpayers to print and mail this colorful advertisement with Franklin’s name, contact information, and picture? We don’t ride the bus, so this information is completely irrelevant. I’m sure it’s easy to target a mailing to people who actually ride the bus. But that wouldn’t get the councilman’s name and picture in my mailbox.